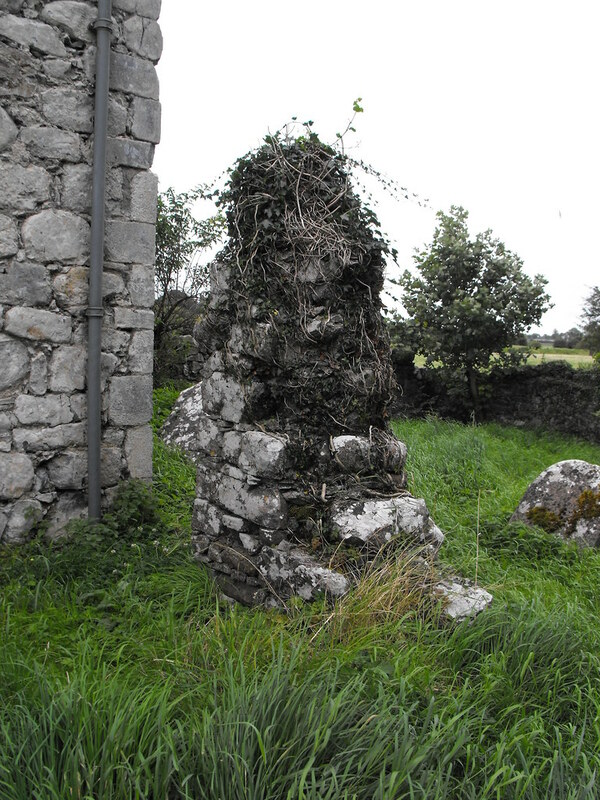 The Standing Stone: Rahan, Ecclesiastical Complex, Church 1, Co. Offaly. 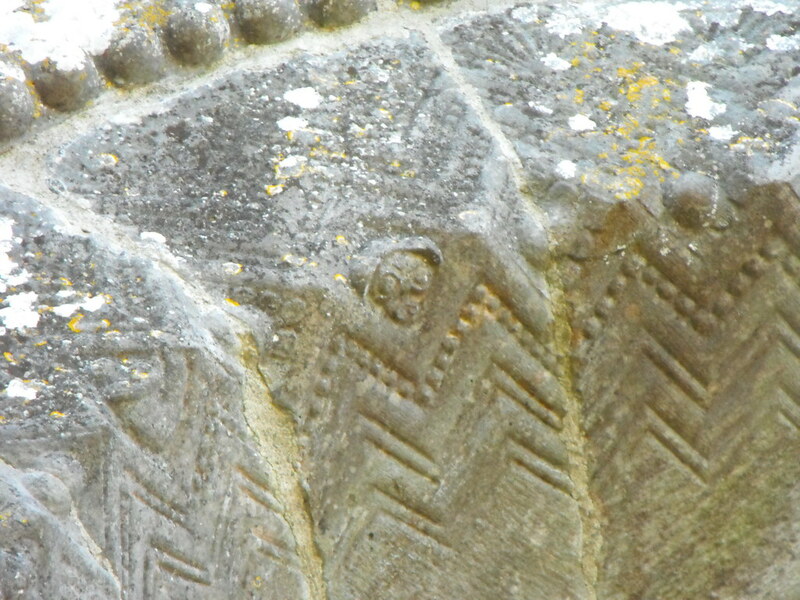 Rahan, Ecclesiastical Complex, Church 1, Co. Offaly. 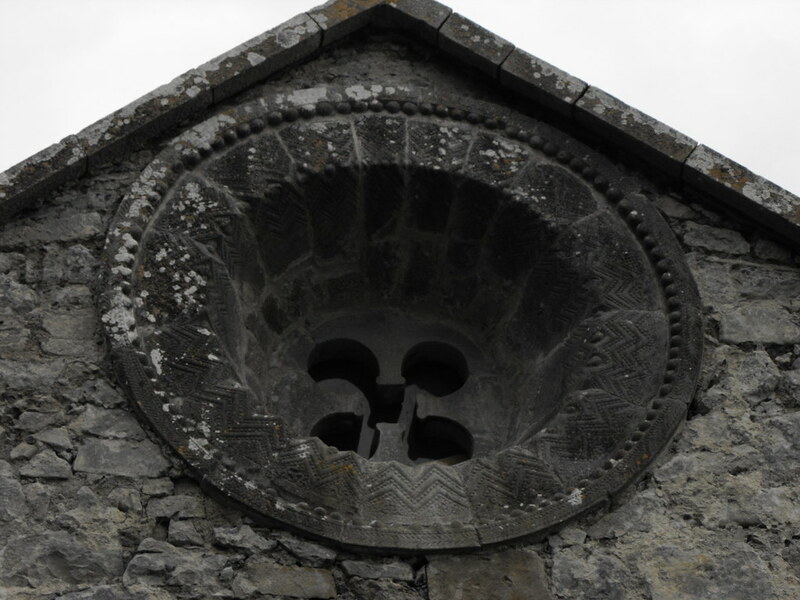 Description and History - The rounded Romanesque window, originally located in the W gable of the earlier foundation, is one of only two such windows in Ireland. 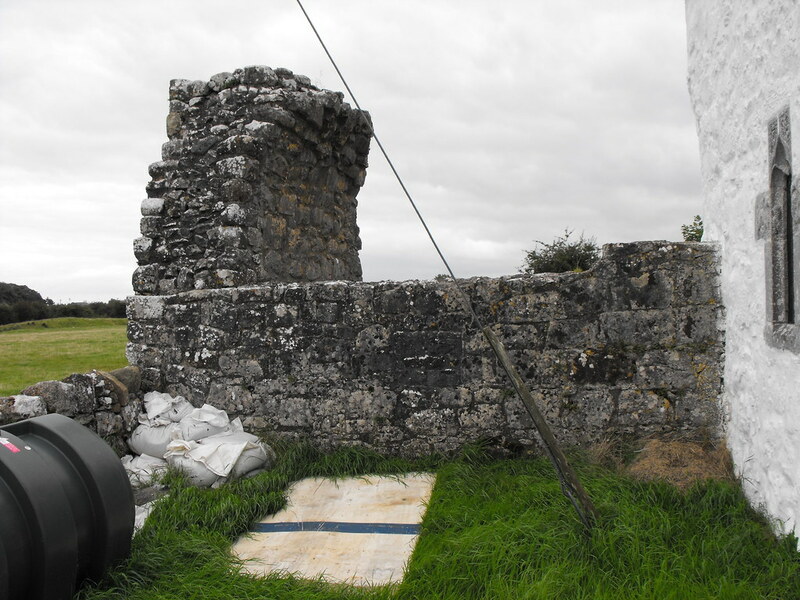 The other is located in Co. Kilkenny. It is also in immaculate condition considering its age and because of its rarity and condition it is surprising that it has been made very difficult to get to because of the poor maintenance of the adjacent graveyard. 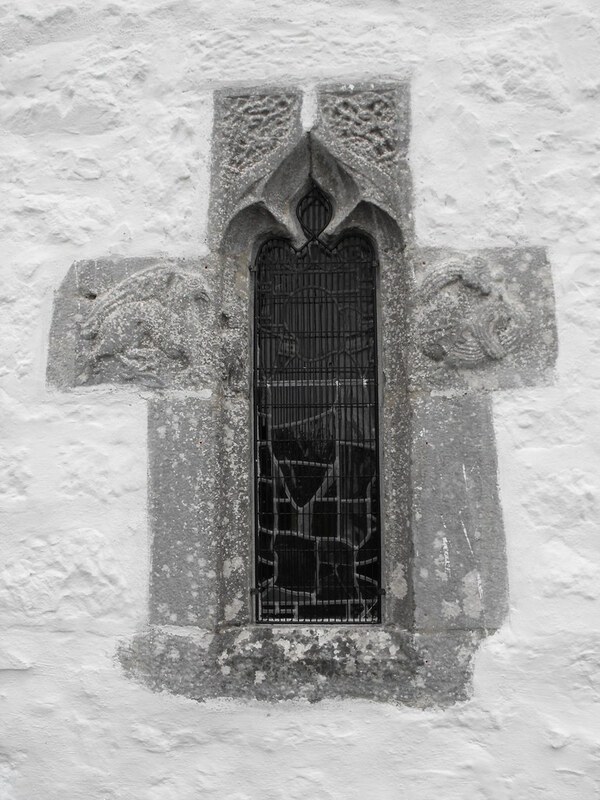 The decoration of the window is similar to that found at Clonmacnoise and may be the product of the same school of masons. It is decorated foliage motifs, beaded chevrons, human masks and entwined snakes. Archaeologists have noted the similar style to the Armenian Romanesque style and have proposed an influence in some way. 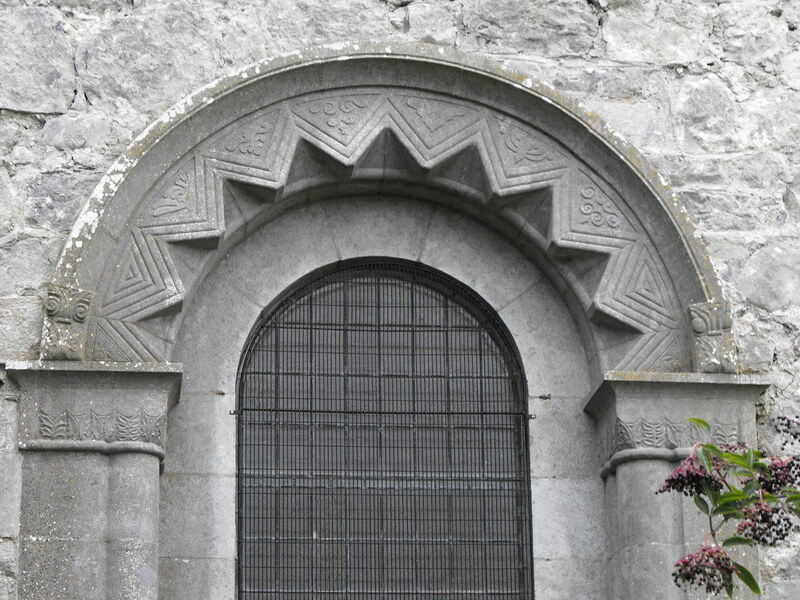 The arch and window can be roughly dated to the later Irish Romanesque period in the late 12th century. 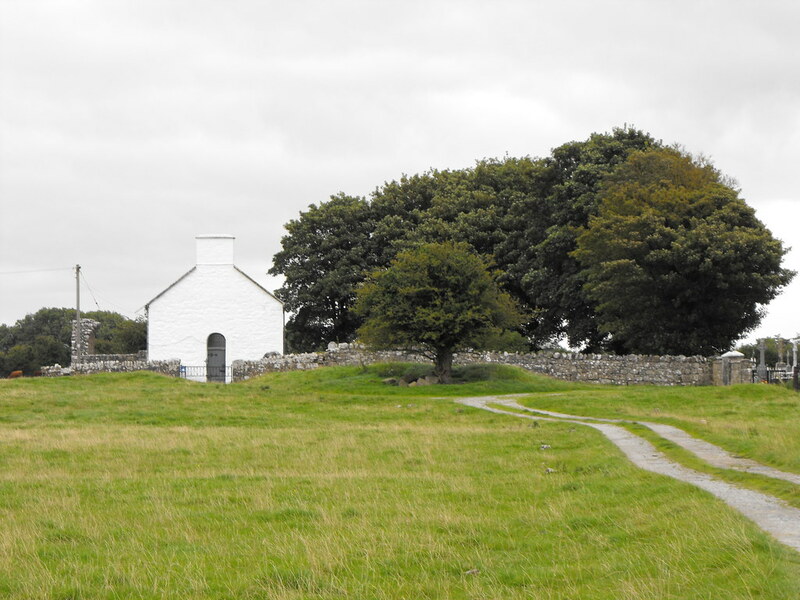 The modern church was built in the 18th century and is located in a poorly maintained graveyard. 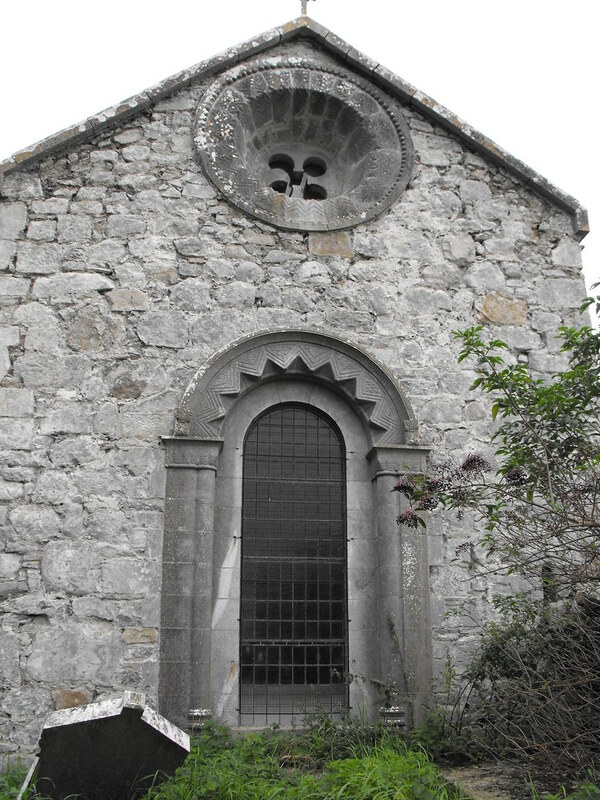 The surviving Romanesque features can all be found at the rear of the church. 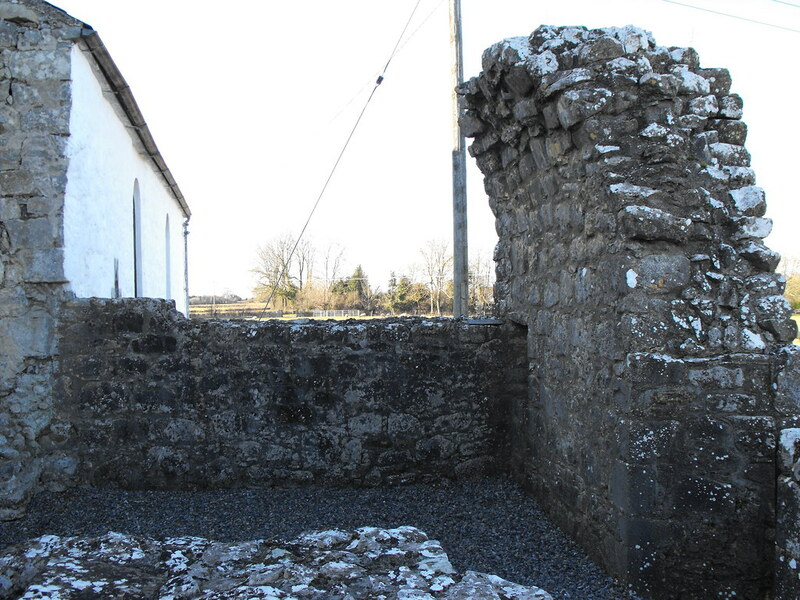 Features survive inside the church but it is kept locked when not in use. 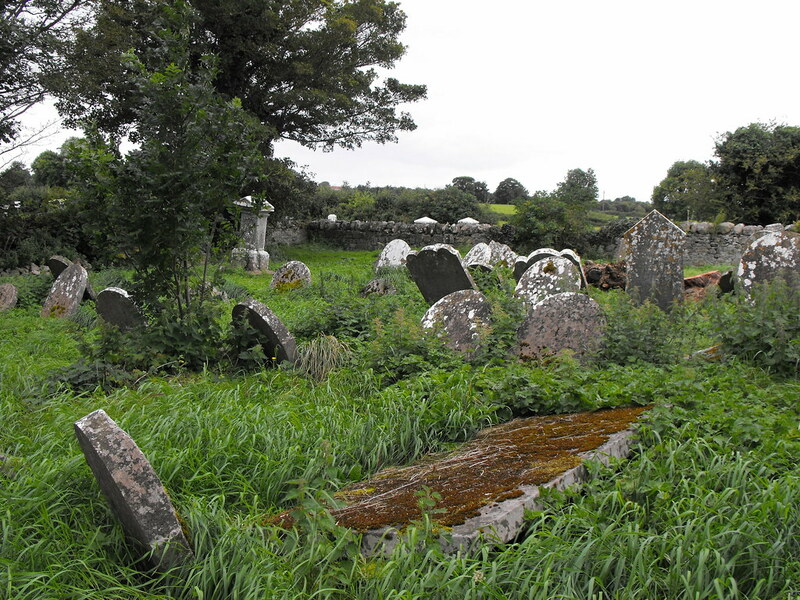 Difficulty – Easy to find but the graveyard can be a little tricky to navigate. 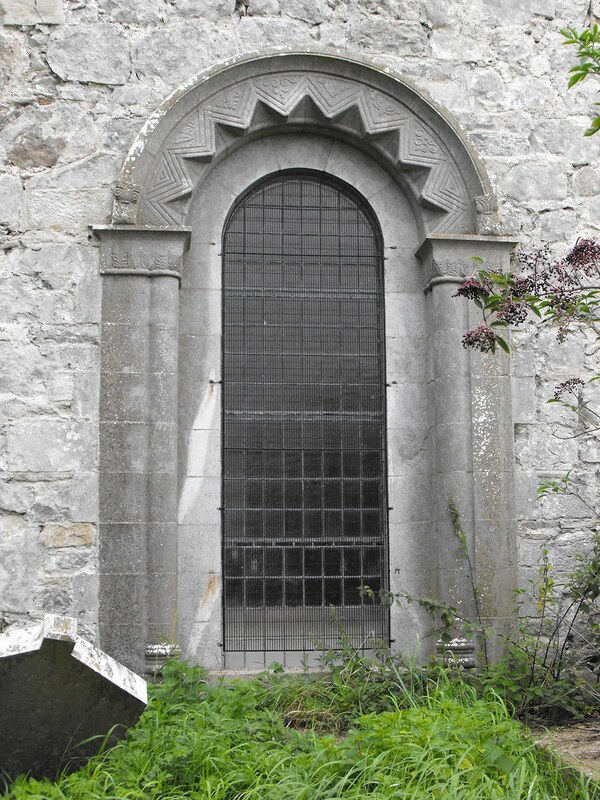 Beautiful window fragment of the old Romanesque church. Various fragments of the earlier foundation survive. The beginnings of a barrel vault. The beautiful arch and rounded window. The overgrown graveyard. I don't think there was a single slab that was upright.